Check here for the latest news and sometimes my random thoughts. I also have several writing samples you can read. You can also feel free to read them and contact me with questions and comments. It's a six-night run: March 7-9, and March 14-16, 2019. My director just emailed me to say: WOOEEE!!! Here we go! It's hard to believe I can share this news. I submitted my full-length play, Drowning the Stream, to a theater nearly seven years ago and the director/producer remembered it for all this time. The play, which is told in stream of consciousness, is finally getting its first production next month. 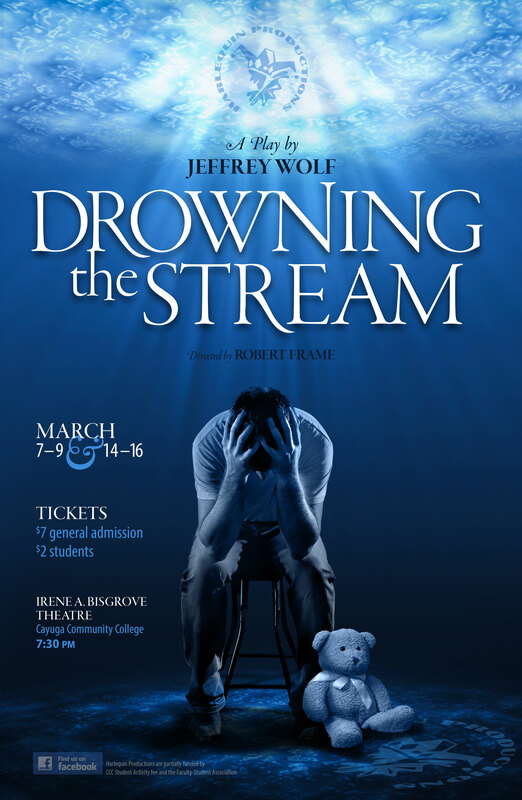 Harlequin Productions will perform Drowning the Stream for a six-night run on March 7-9, and March 14-16, 2019. I am simply overwhelmed with this. I'm so thankful and giddy. 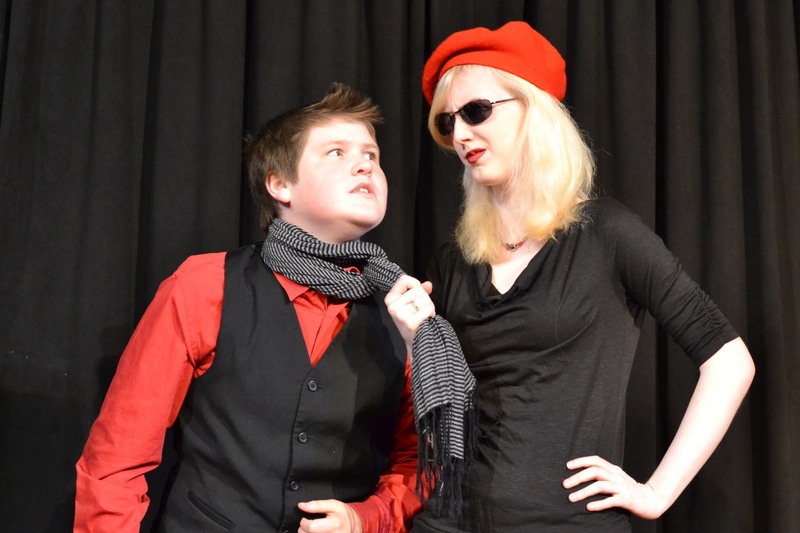 Playwriting is apparently patience! 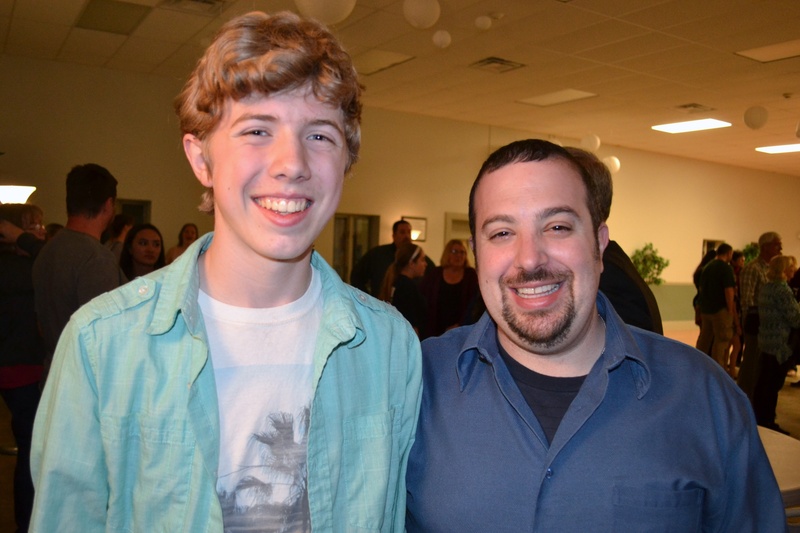 It was a great performance last night from One Night Stand Theater. 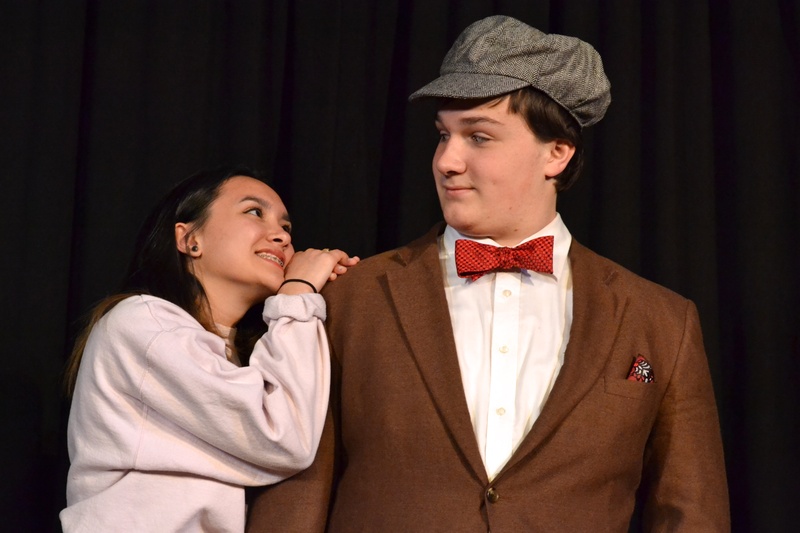 The Scientific Study of Human Comprehension was part of One Night Stand Presents Star-Crossed Lovers at The Vintage Theatre. This is play was also published in BONED Every Which Way 2016: A Collection of Skeletal Literature, which is now for sale on Amazon. Click here to buy it! All proceeds go to the Bone Marrow Foundation. Thanks One Night Stand for a great show! 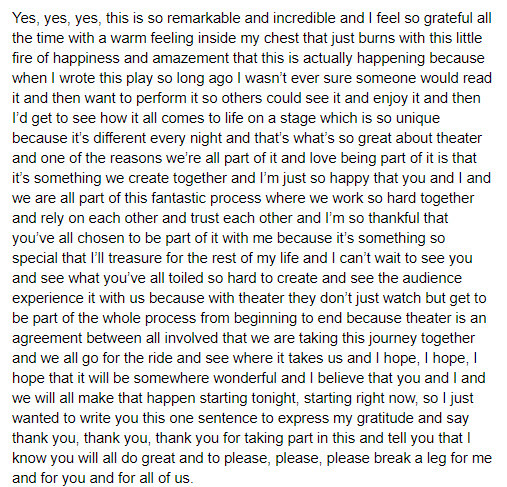 This made me a 7th Night Stander - meaning I've had seven plays performed by this group since they started. Cool! 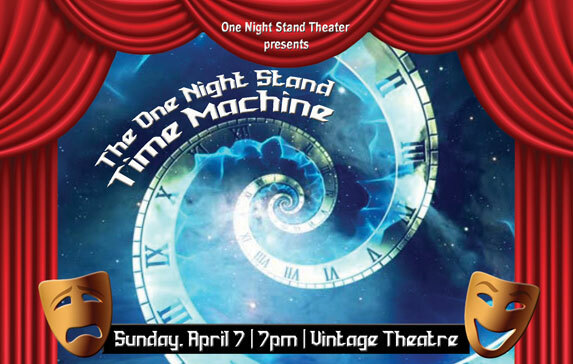 Another one of my short plays is going to be part of a One Night Stand Theater showcase. 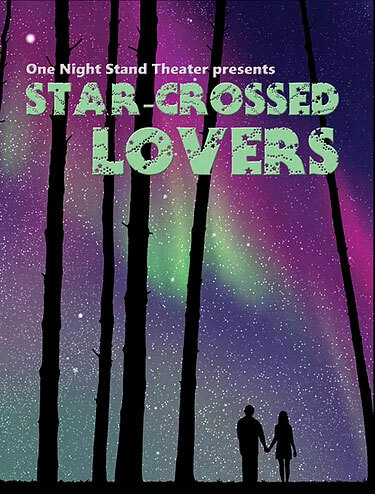 The Scientific Study of Human Comprehension is part of One Night Stand Presents Star-Crossed Lovers on February 10, 2019 at 7 p.m. at The Vintage Theatre. This is one of the plays that was published in BONED Every Which Way 2016: A Collection of Skeletal Literature, which is now for sale on Amazon. Click here to buy it! All proceeds go to the Bone Marrow Foundation. I hope you'll come see the show! I'm going to be published again! 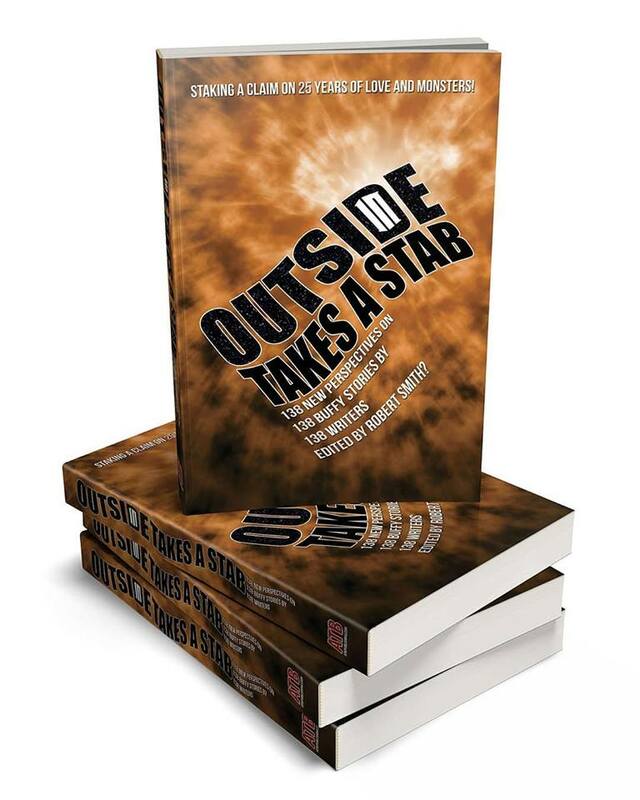 A short play of mine, titled "Heroes" will be included in this new collection: Outside Takes a Stab. It's a collection inspired by Buffy the Vampire Slayer. There's a short piece for each episode and my piece is inspired by the episode "Villains." I hope you'll check out the book when it comes out this fall! I am going to be a director for the first time! I'm directing a short play written by I am directing a piece for Curious Theatre as part of their Curious New Voice Companion Pieces program. The reading is coming up on Monday, Jan. 22 at Curious Theatre. Hope to see you there! It's been a while since I've updated - sorry for the absence, but I have some happy news. I am a published author! 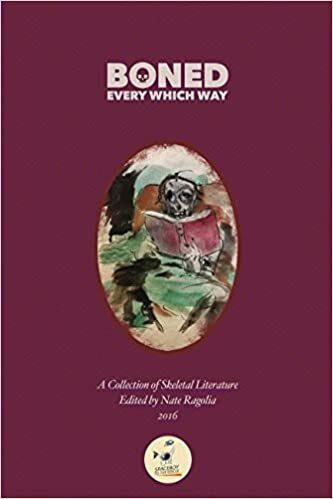 Two of my plays are included in BONED Every Which Way 2016: A Collection of Skeletal Literature, which is now for sale on Amazon. Click here to buy it! All proceeds go to the Bone Marrow Foundation. Additionally, you can see one of my plays included in this collection, Going Blue, this Tuesday night, July 11 at Rough Draught Playwrights big 5th Anniversary Bash at the Walnut Room. Hope to see you there! 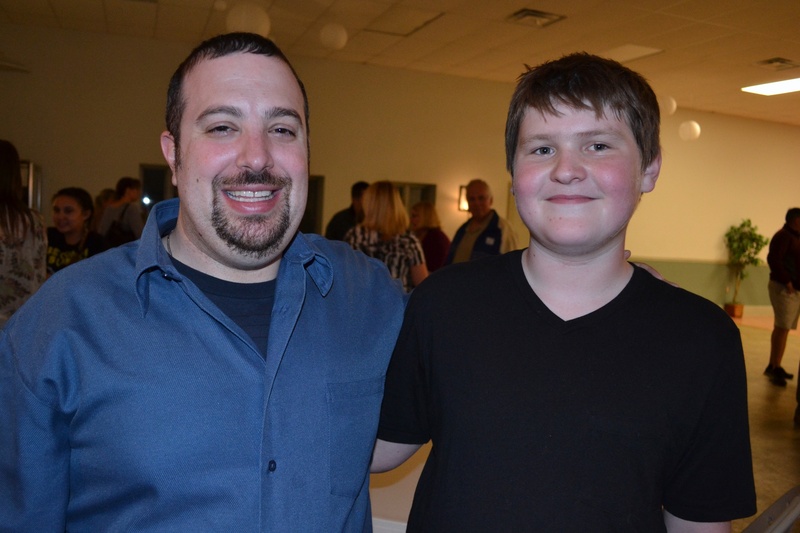 The second production of my children's play, The Worst Play in the History of Ever, goes up tomorrow night (May 4, 2017) at Hammonton Middle School in Hammonton, New Jersey. I am so excited! Break all the legs! It is with great joy that I can announce that my children's play, The Worst Play in the History of Ever, is getting a new production. 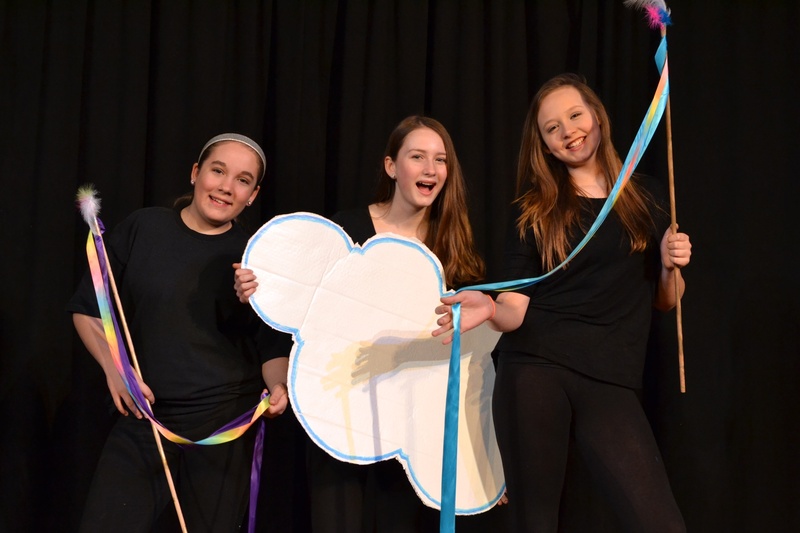 Hammonton Middle School in Hammonton, New Jersey, will perform it in late April or on another date this spring. The school has been great to work with so far and I'm so excited for them to show people this wonderful play. 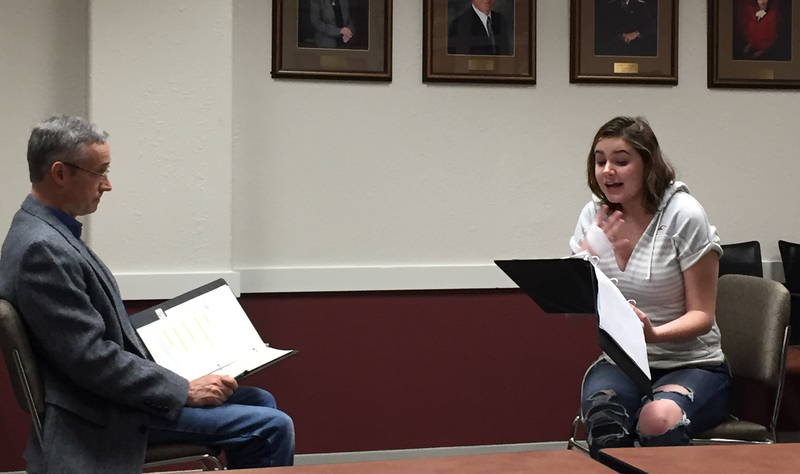 One Night Stand Theater did an incredible job with the reading of my short play, Up & Down, over the weekend on Feb. 12, 2017 as part of its "Roses and Thorns" evening. 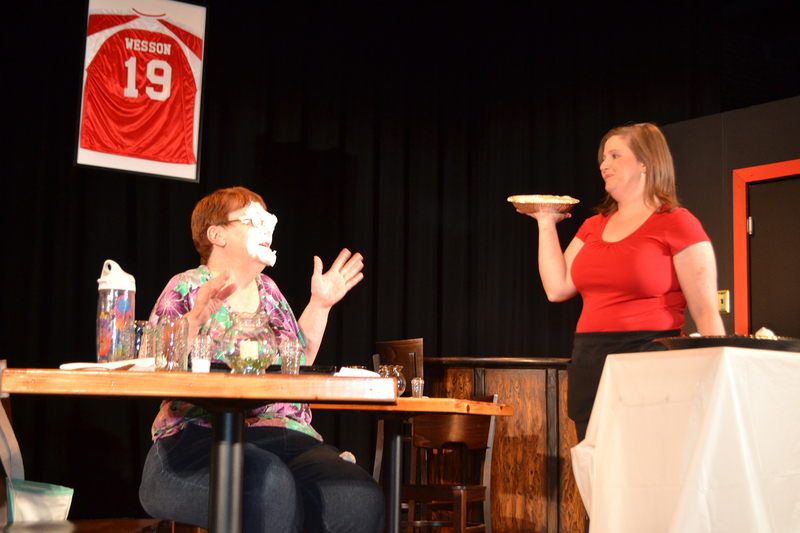 People laughed incredibly hard during the reading at The Vintage Theatre in Aurora, Colorado and it was great fun! 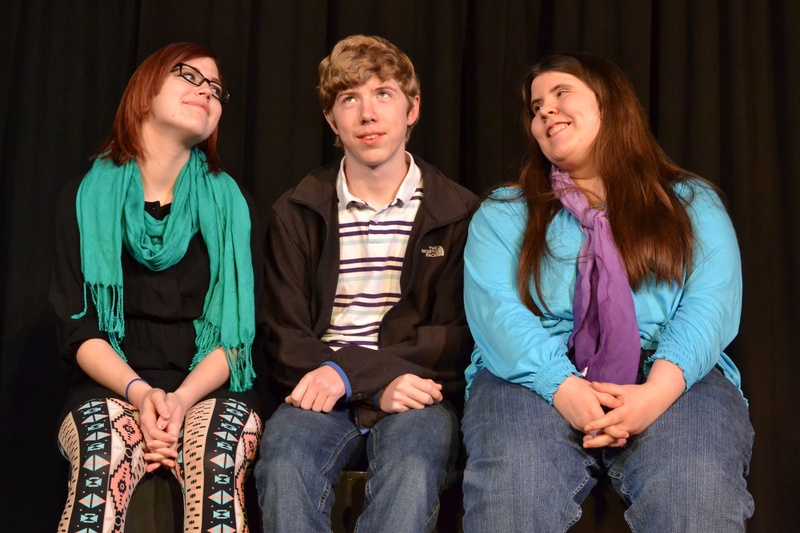 Thank you One Night Stand Theater! First, my short play, Up & Down, will be part of One Night Stand Theater's "Roses and Thorns" evening of short plays on Feb. 12, 2017. The performance is at The Vintage Theatre in Aurora, Colorado at 7 p.m. The list of playwrights with pieces in this show is very impressive and I hope you'll join us for what will be a great evening of theater! My short play, No Ideas Today, was chosen by Ashland Community Theater in Ashland, MA for its "Dinner Conversations" production scheduled for Dec 1-3, 2016. So excited that I'm going to be part of this really fun evening! An actress who was cast in the production of Slipping into Anarchy when it was performed in England a few years ago, Debbie Bridge, has turned it into a movie! I think it turned out pretty well - it still made my wife cry even though she's read the play before. Remember that the play has language that is NSFW before you watch it. Thank you so much for your hard work Debbie! 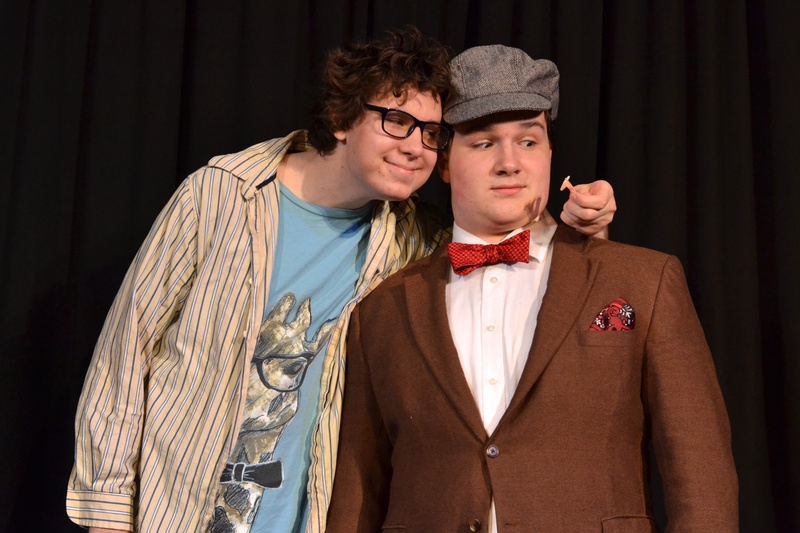 I finally got many great pictures from the production of The Worst Play in the History of Ever at the Center for the Arts of Homer in upstate New York (April 15, 16 & 17, 2016). The performances were so incredible and the stills bring a huge smile to my face. I have stills from the production, a behind-the-scenes picture, and a couple of stills of me with cast members at the after-party. It's hard for me to put into words just how spectacular the production of The Worst Play in the History of Ever was at the Center for the Arts of Homer in upstate New York (April 15, 16 & 17, 2016). 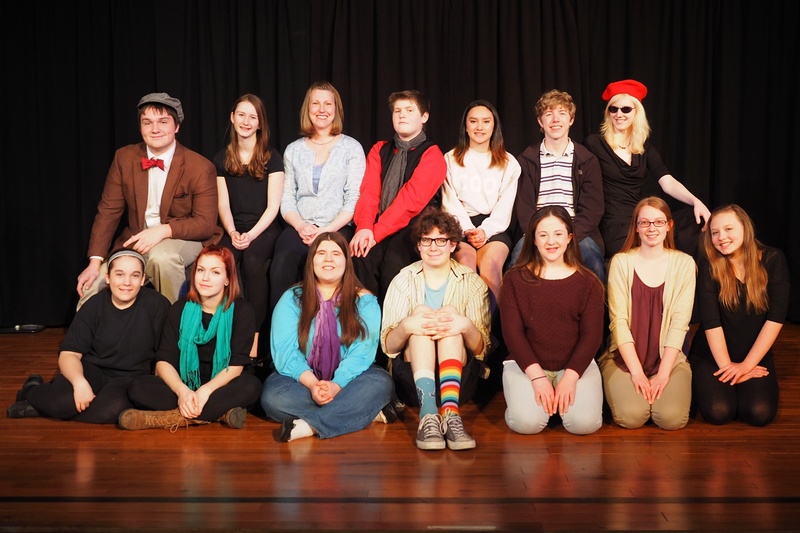 The cast, the director - everything was amazing. 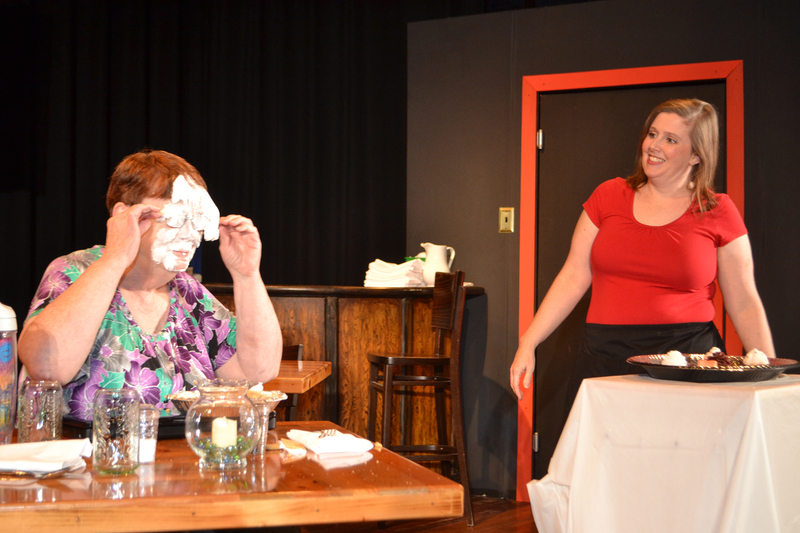 It was great to laugh very hard at my own play and see others laughing just as hard. I will put up some pictures from the weekend soon! My friend and author Nate Ragolia also included the play in his BONED collection. Click here to read it. One Night Stand Theater did a wonderful job with the staged reading of my short play, Singularity, as part of Apocalypse Tonight! at the Vintage Theatre in Aurora tonight. 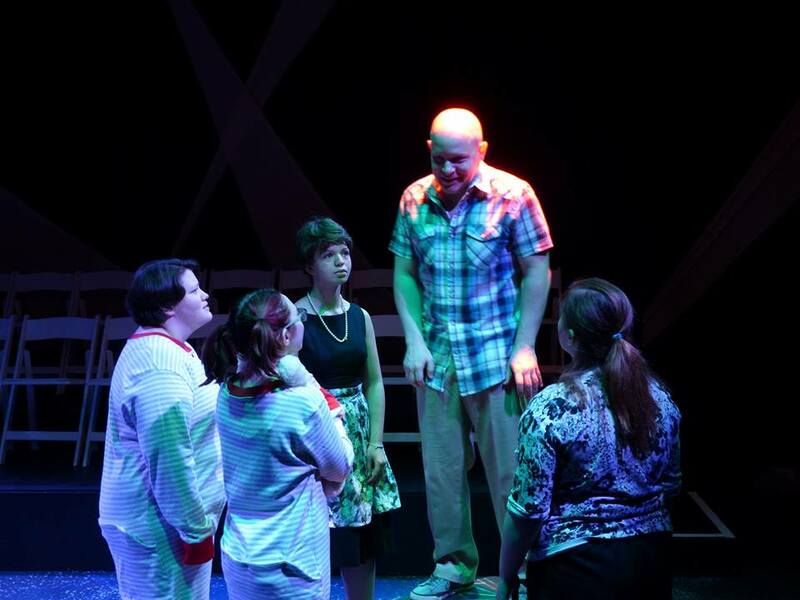 The cast really made the piece come alive and I was incredibly pleased! Thank you to the cast and crew and to those of you who could attend! 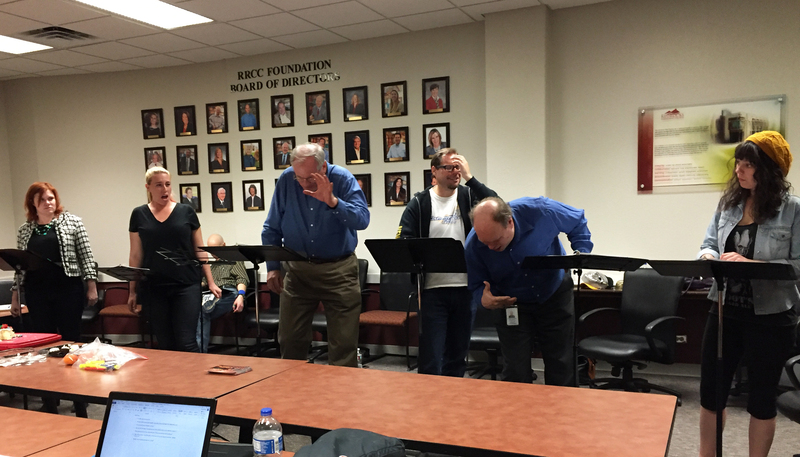 We had a great rehearsal on Wednesday night for my short play, Singularity. 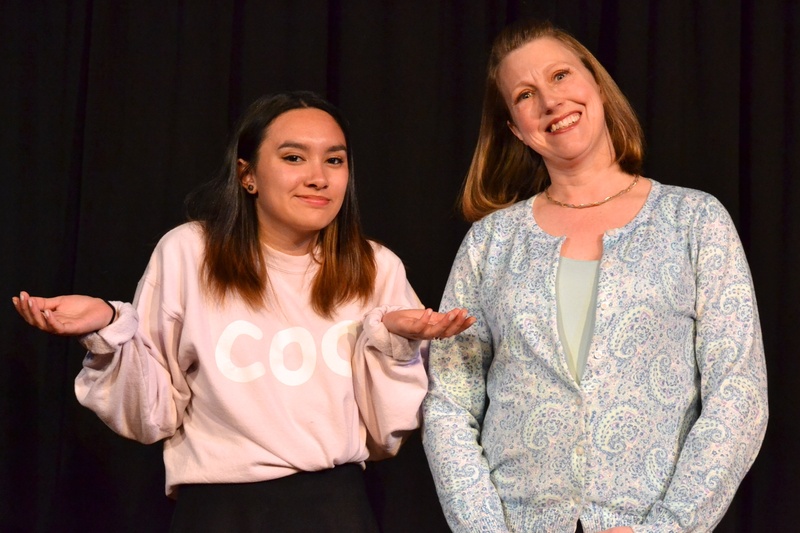 It's part of One Night Stand Theater's presentation of Apocalypse Tonight!, an evening of plays and stories about disasters both global and personal, goofy and gloomy. 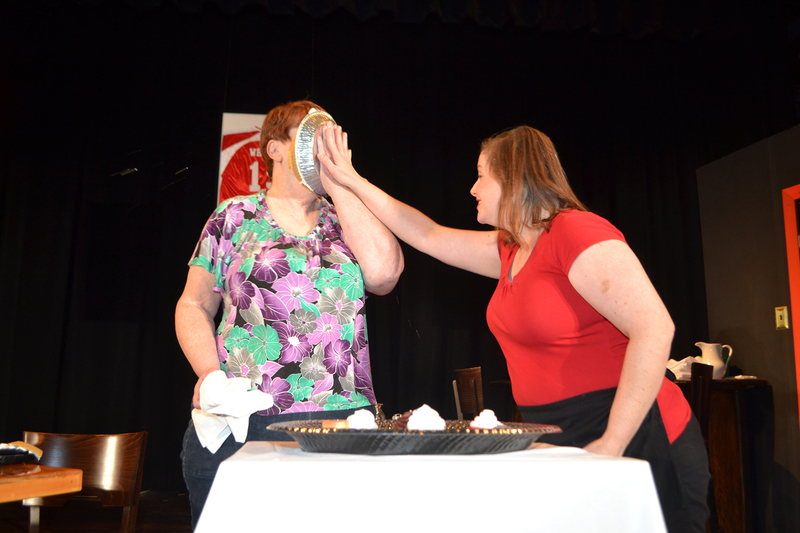 It's on Sunday, April 10 at 7 p.m. at the Vintage Theatre in Aurora. 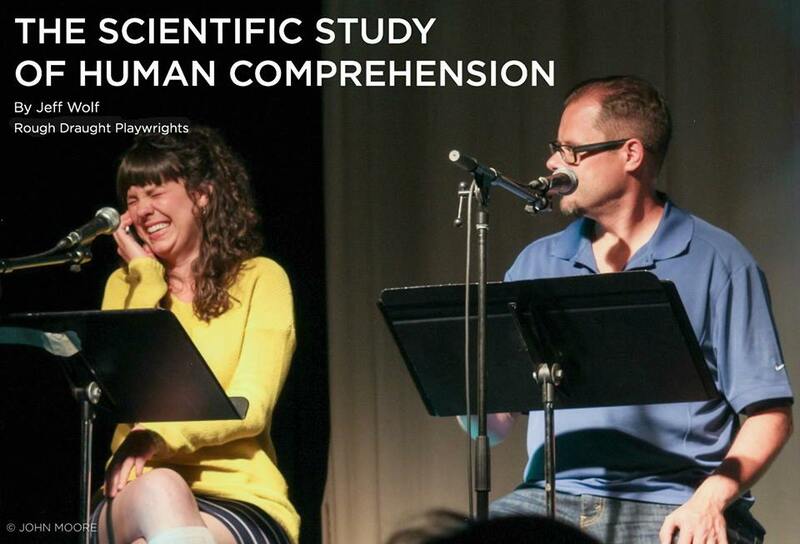 I am so happy that my friend and author Nate Ragolia included my short play, The Scientific Study of Human Comprehension, as part of his BONED collection. 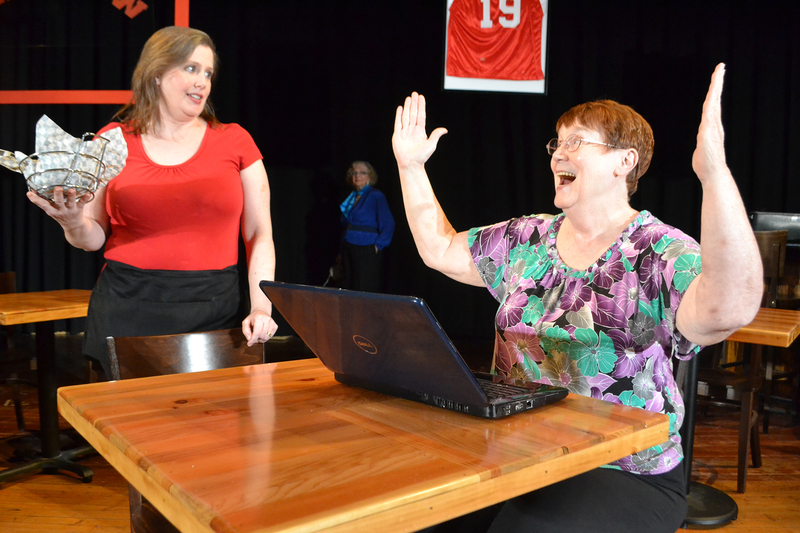 If you like the play, you can come see it at Rough Draught Playwrights's next event on April 12 at the Walnut Room. 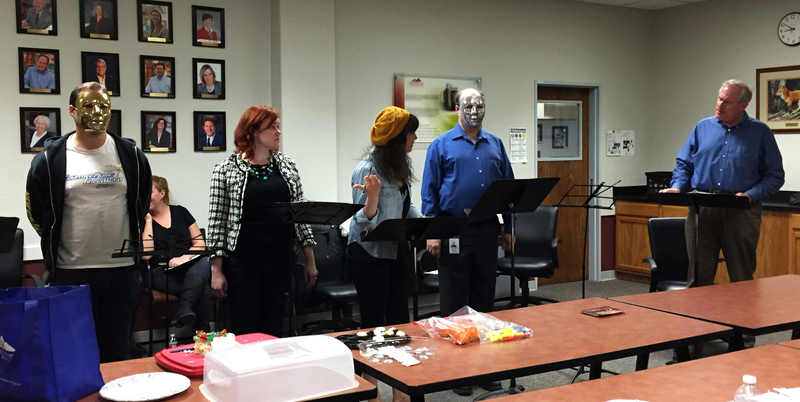 Yesterday was one of the most rewarding experiences I've ever had as a playwright. 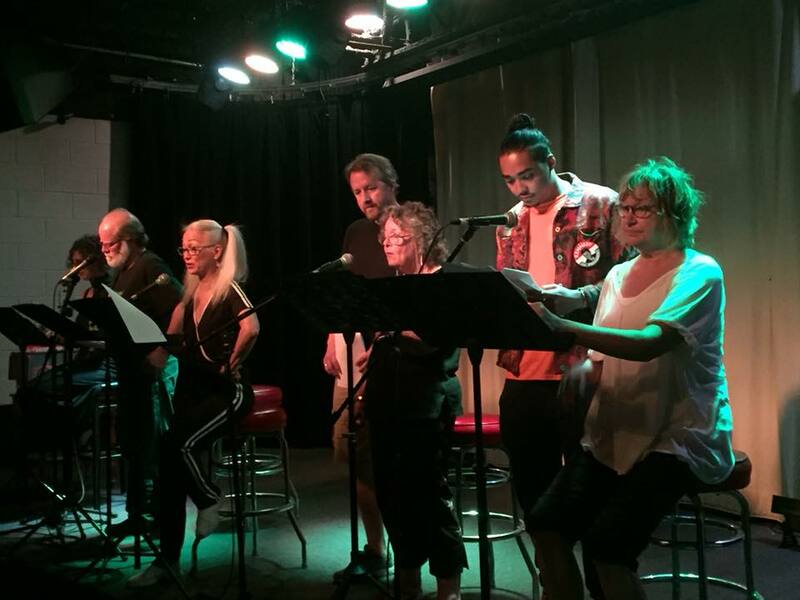 One Night Stand Theater did a terrific job with the reading of my new full-length play, Shakespeare's Curse, on Saturday, March 26, 2016 at the Vintage Theatre in Aurora, Colorado. I am so thankful for all the hard work put in by the director, actors and crew. The audience feedback was very positive and I can't wait to get started on edits to make this play even better. It remains an overwhelming experience that I will never stop being thankful for. 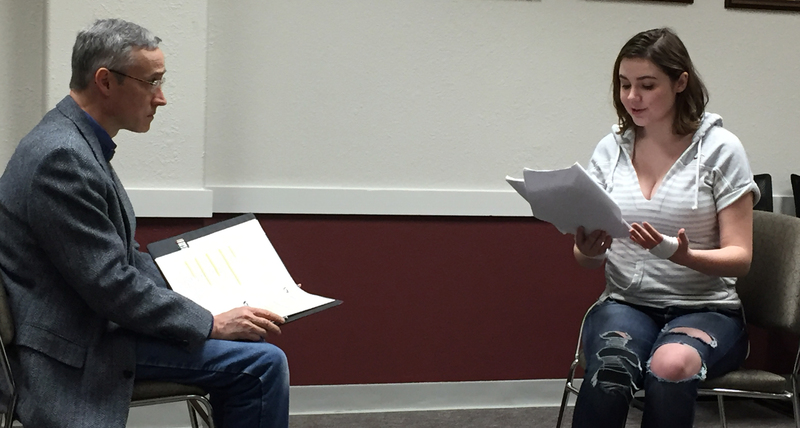 Last night was the final rehearsal for One Night Stand Theater's staged reading of my new full-length play, Shakespeare's Curse, set for Saturday, March 26, 2016 at 2:30 p.m. in the small theater at the Vintage Theatre in Aurora. I took some great pictures during the rehearsal. This cast continues to work very hard at making this a great experience and I've had so much fun! Remember, admission is free - can't wait to see you there! 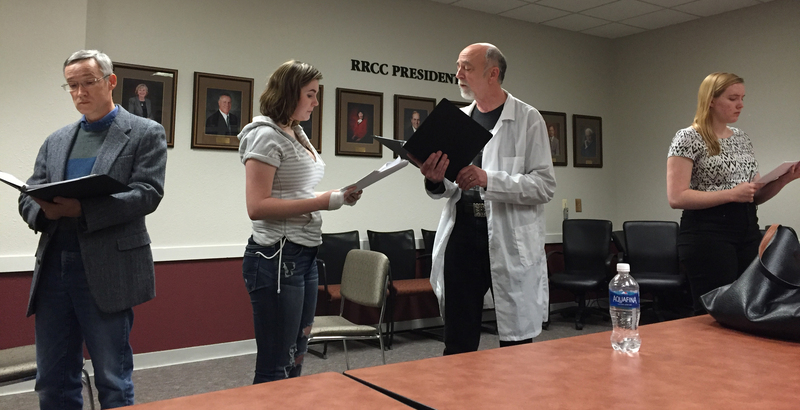 Rehearsals are going well for the production of The Worst Play in the History of Ever at the Center for the Arts of Homer in upstate New York (April 15, 16 & 17, 2016). 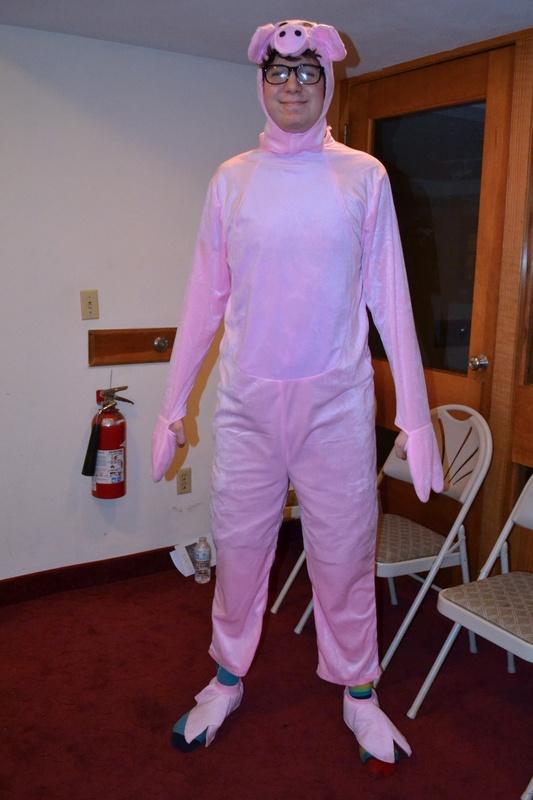 I have answered some amazing questions about animal costumes over email. The emails back and forth are some of the best I've ever had with a director. 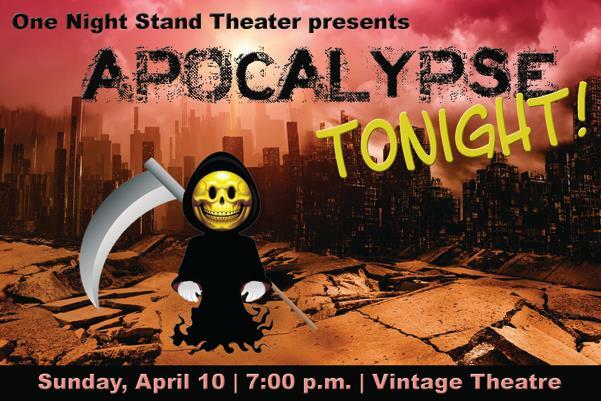 I'm delighted to announce that my short play, Singularity, was chosen to be part of One Night Stand Theater's presentation of Apocalypse Tonight!, an evening of plays and stories about disasters both global and personal, goofy and gloomy. 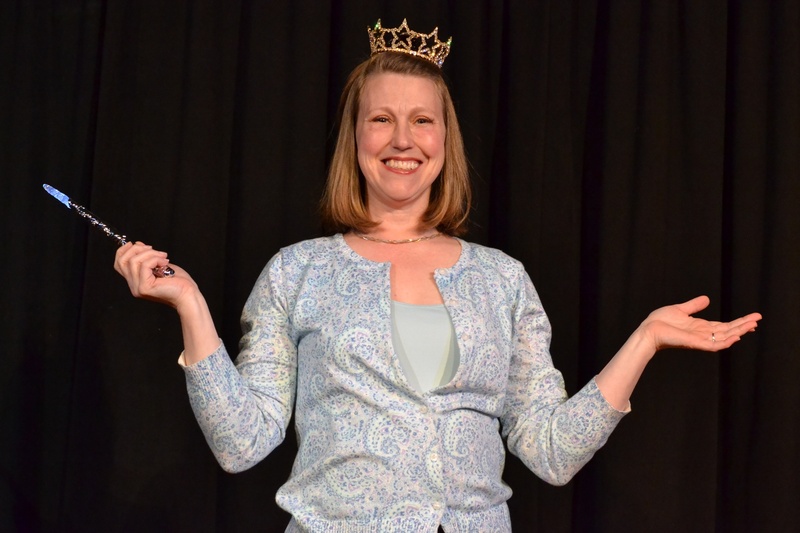 It's on Sunday, April 10 at 7 p.m. at the Vintage Theatre in Aurora. 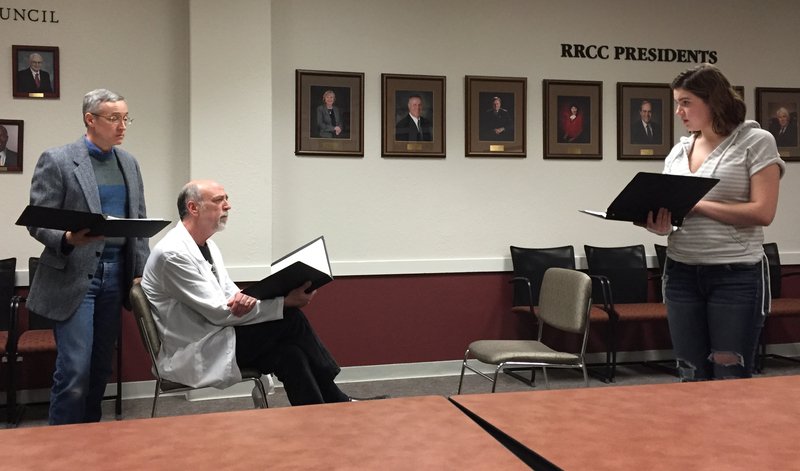 Auditions were last night for the production of The Worst Play in the History of Ever at the Center for the Arts of Homer in upstate New York (April 15, 16 & 17, 2016). 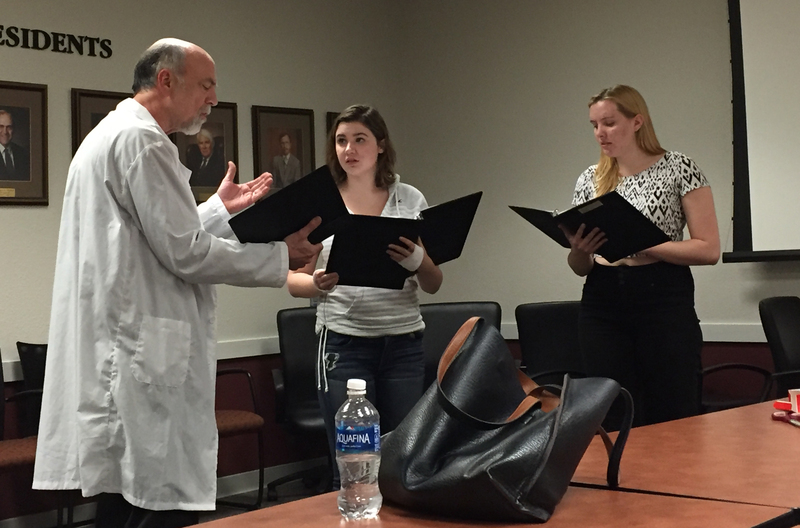 I couldn't be there, but I was told they went very well and we had many more people audition than we needed. That's so great to hear! One of my favorite things is when I get to talk to directors about my plays as we go into a production. Over the past few days, I've had some great conversations with the directors of The Worst Play in the History of Ever, which is being produced at the Center for the Arts of Homer in upstate New York on April 15, 16 & 17, 2016. One of the conversations involved me giving a translation of lines written in pig Latin and Ubbi Dubbi, including the rules on how one speaks in those "languages." Then we talked about alternatives for fog, which included dry ice, baby powder, or just a piece of poster board that says "Fog" on it. Needless to say, I am so excited for this production! The theater in upstate New York producing my children's play, The Worst Play in the History of Ever, posted an audition notice on Facebook today. 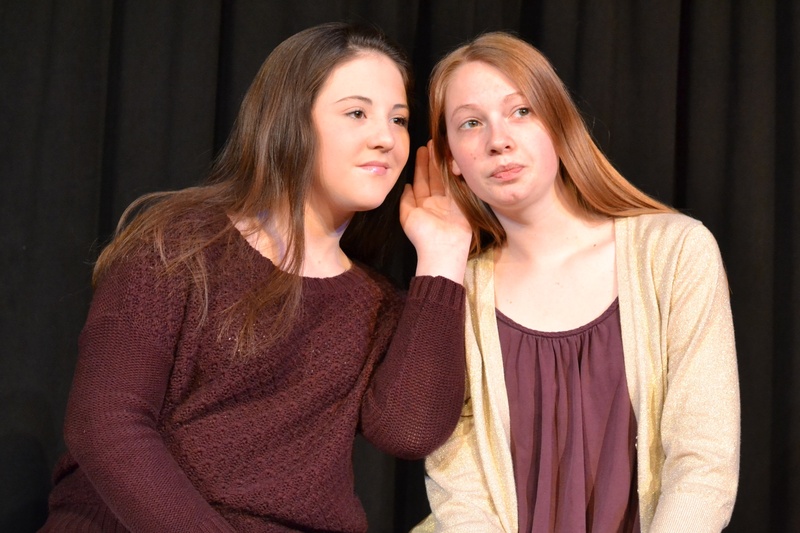 The Center for the Arts of Homer in upstate New York is performing the play on April 15, 16 & 17, 2016. If you're in the area, check out the auditions or come see the play! 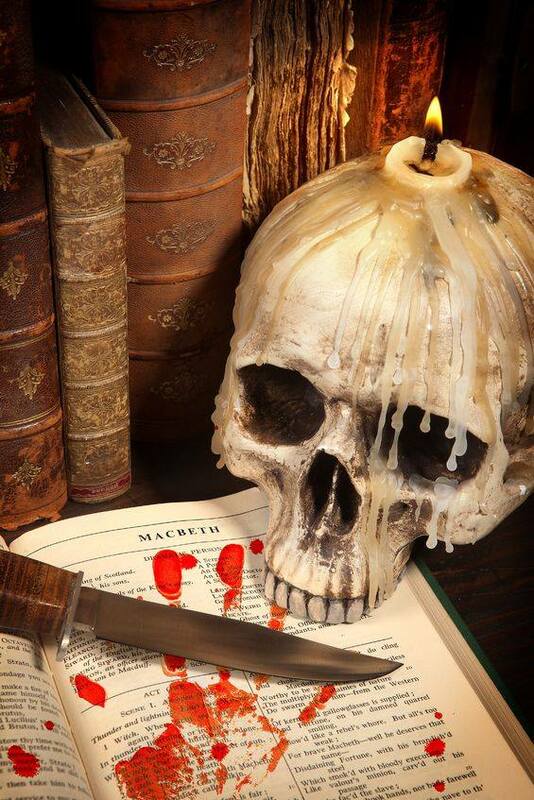 One Night Stand Theater posted a Facebook invite for the FREE reading of my new full-length play, Shakespeare's Curse, on Saturday, March 26, 2016 at 2:30 p.m. It's in the small theater at the Vintage Theatre in Aurora. 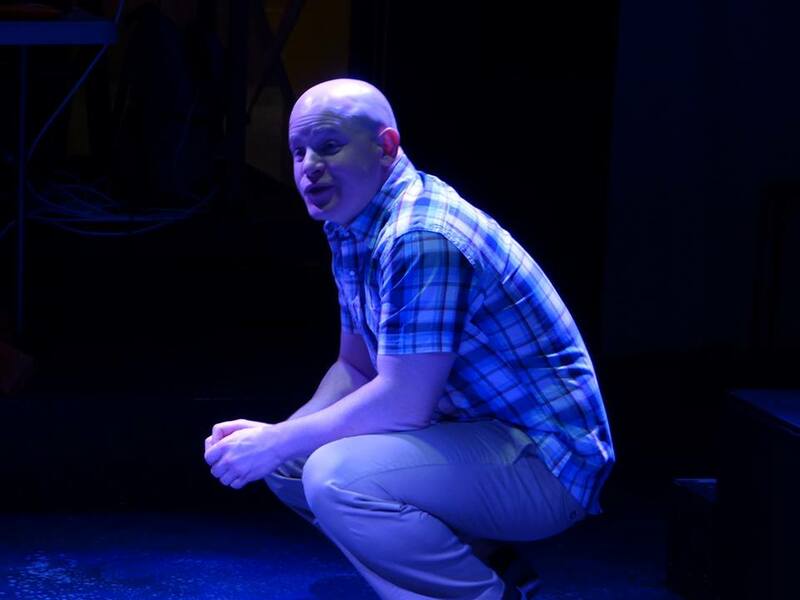 While admission is free, we gladly accept donations to help cover stipends for the actors and stage technicians. I am so excited about this opportunity and hope to see you there! I haven't updated this in a bit, but I have lots of exciting news. 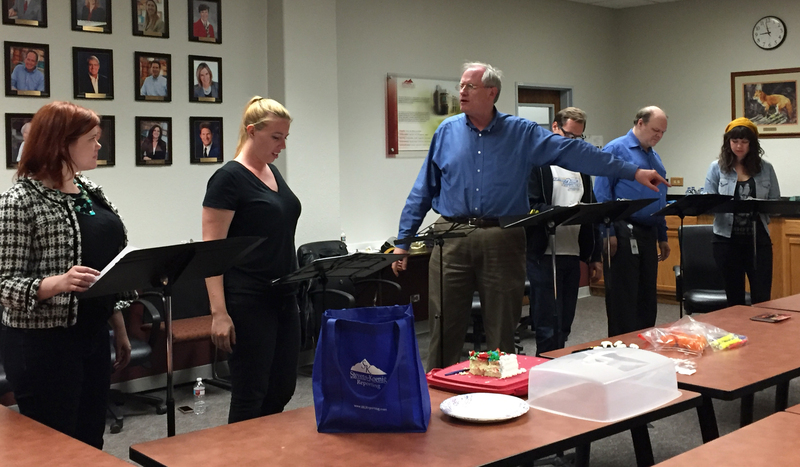 First, I am thrilled to be attending the Denver Center Theatre Company's 2016 Colorado New Play Summit this weekend. It's always a very rewarding experience and I encourage anyone in the area to attend the readings and performances. If you're there, don't be afraid to say hello. Also, for my friends in the Denver area, One Night Stand Theater is hosting a FREE reading of my new full-length play, Shakespeare's Curse, on Saturday, March 26, 2016 at 2:30 p.m. in the small theater at the Vintage Theatre in Aurora. While admission is free, we gladly accept donations to help cover stipends for the actors and stage technicians. I am so excited about this opportunity and hope to see you there! It's been quite a while since I had the privilege of announcing a new production - but good things come to those who wait. 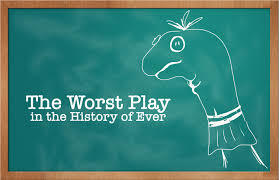 I'm incredibly honored to say that the Center for the Arts of Homer in upstate New York is going to produce my children's play, The Worst Play in the History of Ever, this April! It will be on April 15 & 16, 2016. This is so awesome! Expect many more updates! I had an incredible time at the Colorado New Play Summit held at the Denver Center for the Performing Arts last weekend. I saw some great plays, including Benediction by Eric Schmiedl, Appoggiatura by James Still, and Holy Laughter by Catherine Trieschmann. It was inspiring and motivating and I can't wait to get to work on my play. 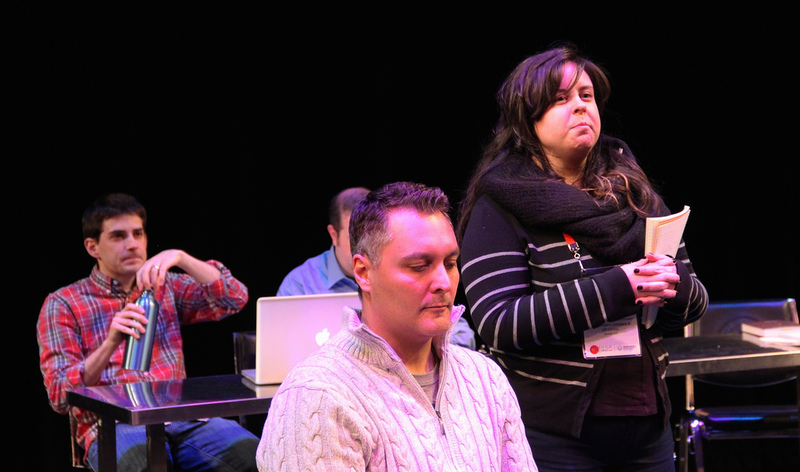 Emily Tarquin with the DCPA introduces my scene at the 2015 New Play Summit. 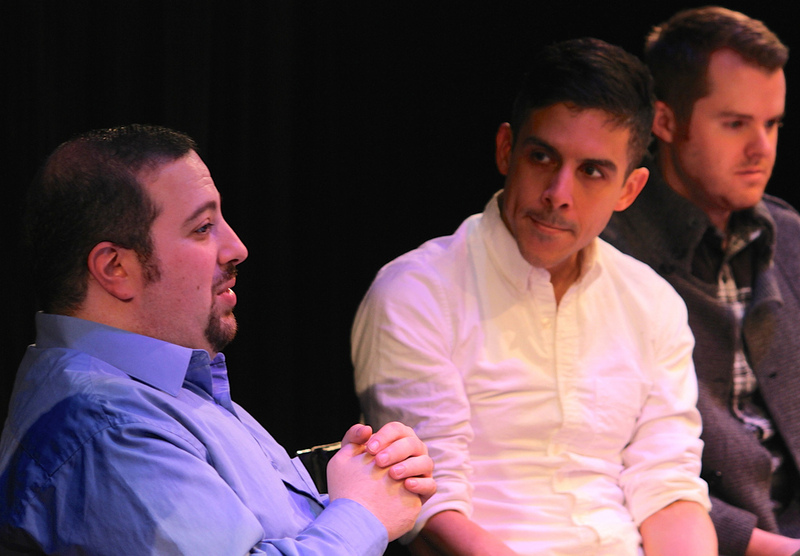 Matthew Lopez talks about the workshop process at the 2015 New Play Summit. 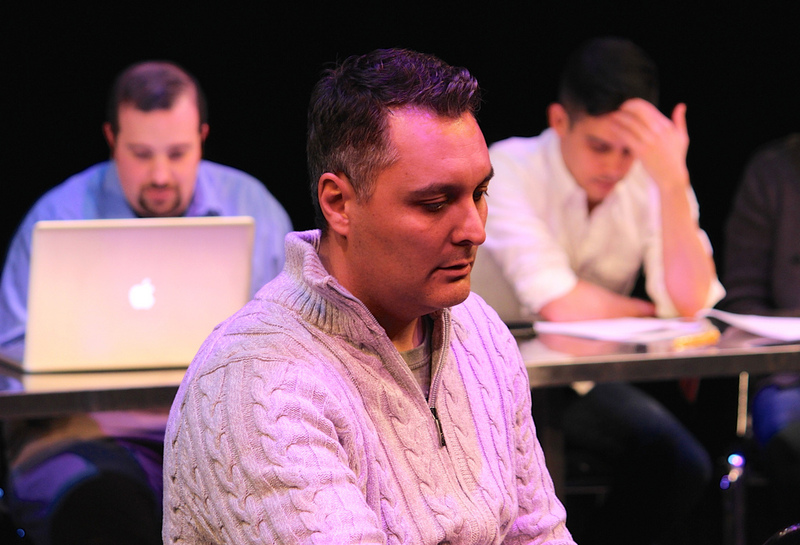 I (Jeffrey Wolf) introduce the scene being read at the 2015 New Play Summit. 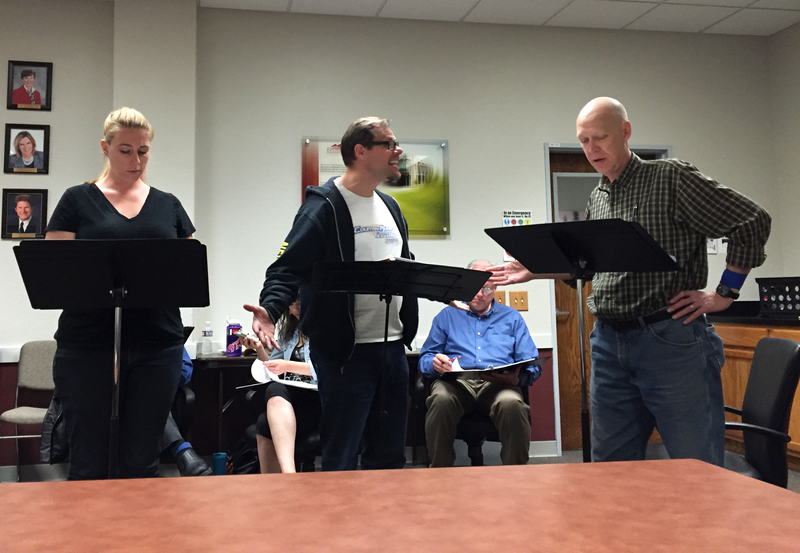 Chris VanDijk plays Richard Burbage in my scene at the 2015 New Play Summit. Matthew Lopez and I are in the background. 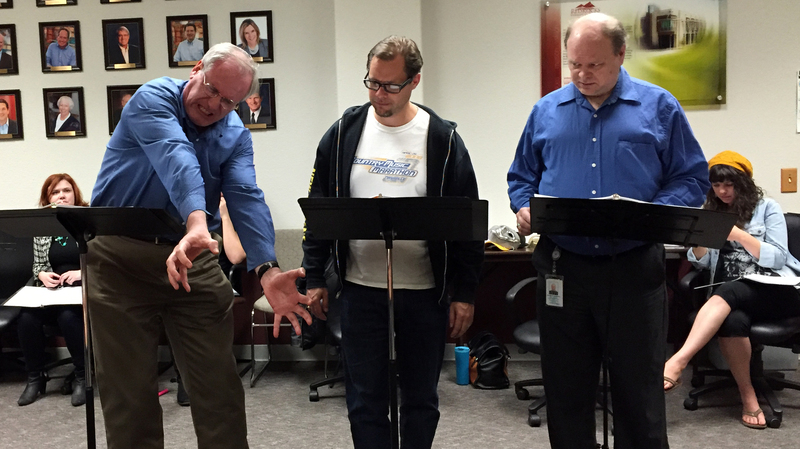 Brian Shea plays William Shakespeare and Chip Persons plays Henry Condell in my scene at the 2015 New Play Summit. 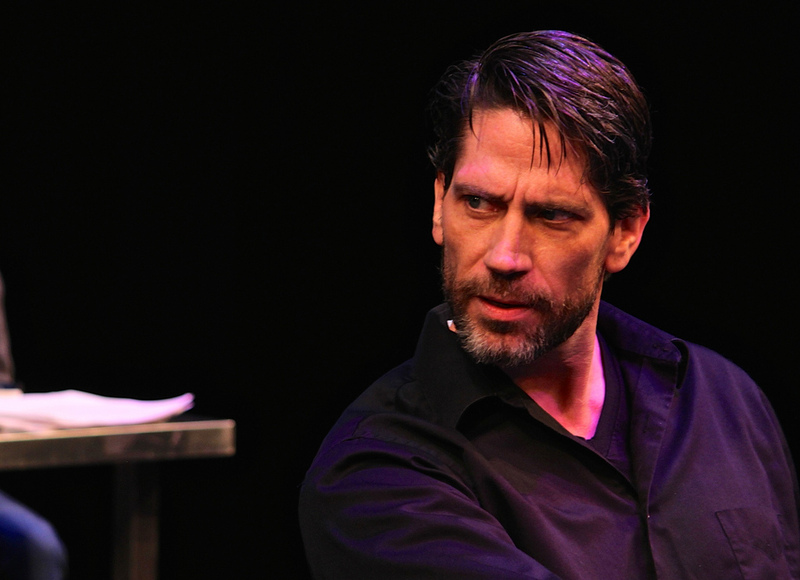 Brian Shea plays William Shakespeare in my scene at the 2015 New Play Summit. 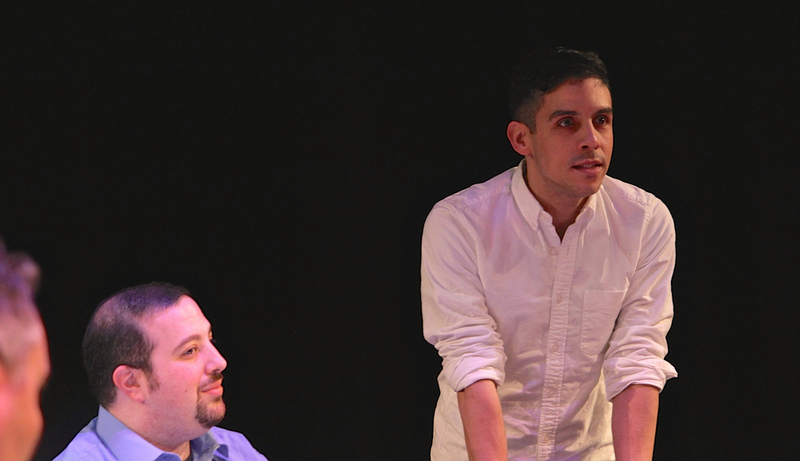 I talk with Matthew Lopez about my scene at the 2015 New Play Summit. Grady Soapes with the DCPA is in the background. 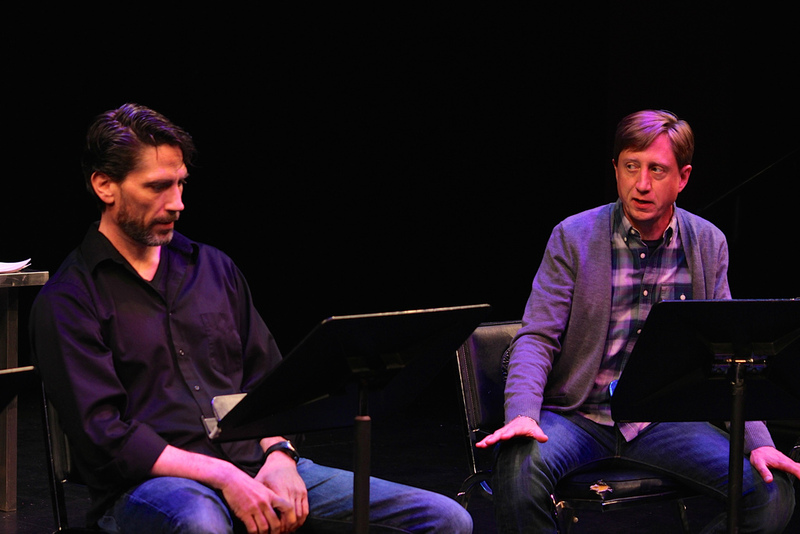 Actors Chris VanDijk and Royce Roeswood listen to Matthew Lopez and I talk after reading my scene at the 2015 New Play Summit. 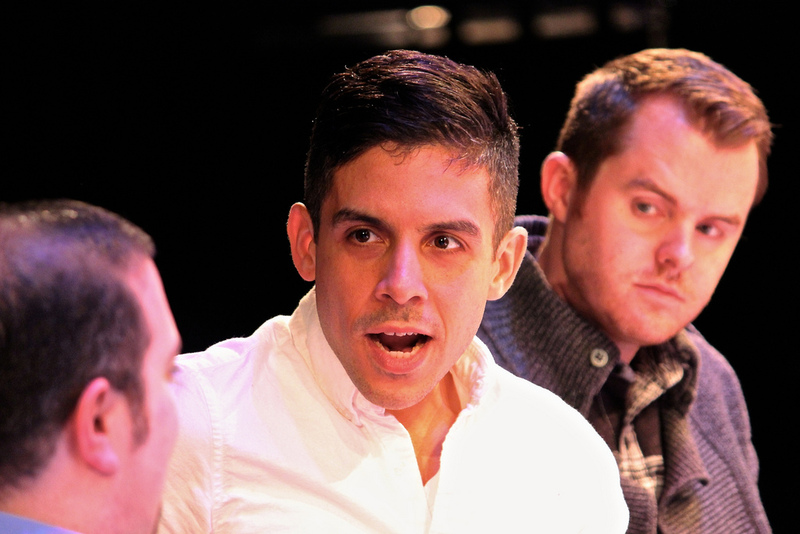 Matthew Lopez talks with me about my scene at the 2015 New Play Summit. Grady Soapes with the DCPA is in the background. Tonight was, simply put, awesome. 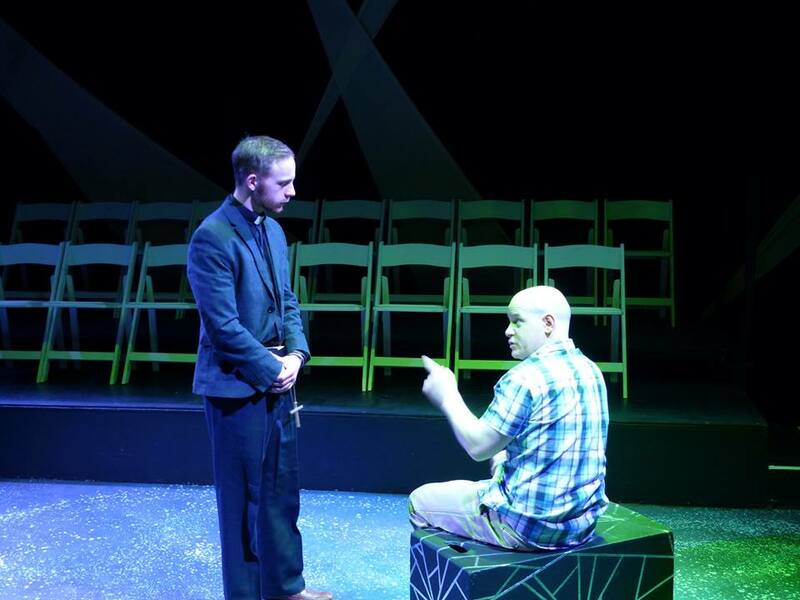 I feel so privileged that I was one of three playwrights chosen for a workshop with playwright Matthew Lopez during the Colorado New Play Summit held at the Denver Center for the Performing Arts. Mr. Lopez is so kind, generous, gentle and honest - I felt so honored and welcomed when I shared the stage with him. I do not have the words to express my gratitude to Mr. Lopez, the DCPA and Rough Draught Playwrights for this opportunity and experience. 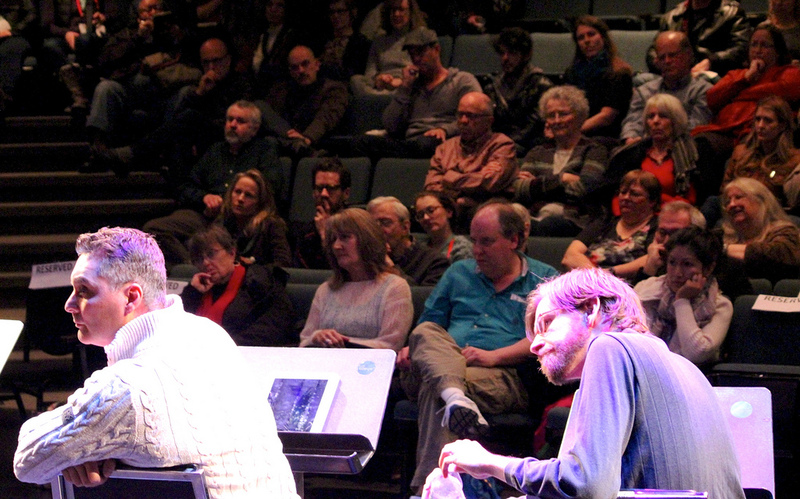 It is thrilling and humbling to know that our community of playwrights loves and supports each other in this way. Now, time to start the rewrites! It's been another long time since an update, but I have very exciting news to share. 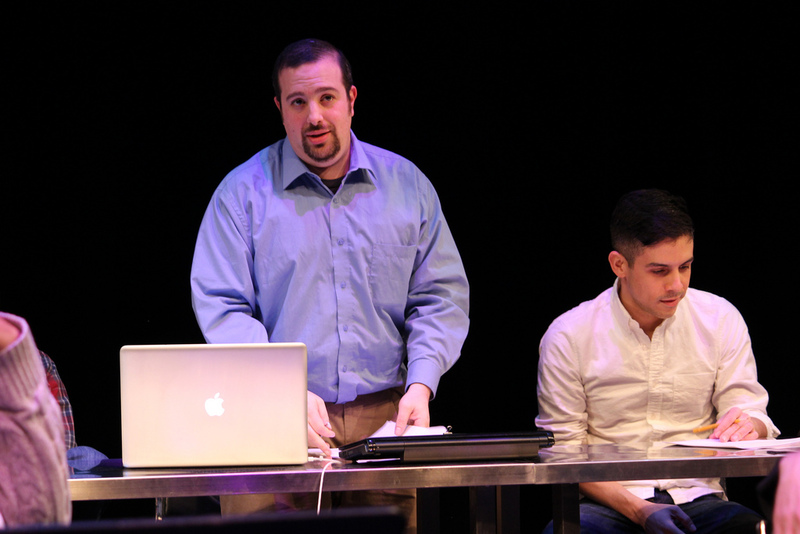 I am honored to be one of three playwrights chosen for a workshop with playwright Matthew Lopez during the Colorado New Play Summit held at the Denver Center for the Performing Arts. On Sunday, Feb. 15, Mr. Lopez will workshop a scene from my new play. I am so thrilled to be one of those chosen and cannot wait for what promises to be an incredible experience. Read more news updates >>.